This photo is actually from a 1977 TV re-enactment movie. Source: UPI. Please don’t share it as a real JFK assassination photograph. More information: HoaxOfFame blog entry. 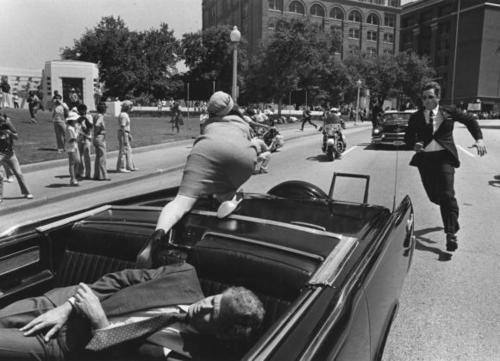 Below is another picture which is being shared as a genuine photograph of the JFK assassination. I’m quite sure that is from a movie or TV reenactment and not an actual photograph of the assassination. However, I have not been able to find out the source. If you recognize the source of this image, please leave a comment. 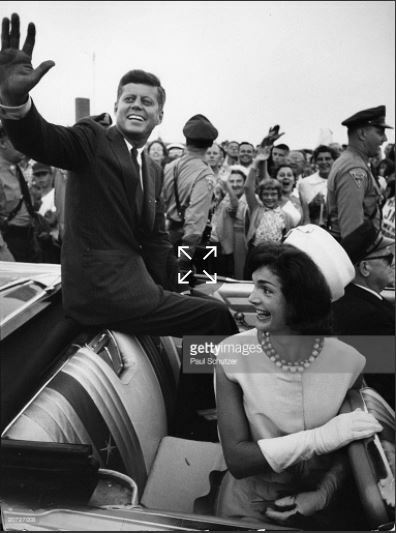 This photo by Paul Schutzer was actually taken in 1960 shortly after JFK’s acceptance of the Democratic Party endorsement for President. Source: Getty.